The staff at Crescent Spur tend to fit into four key general categories: Operations, Guides, Aviation, and Support. 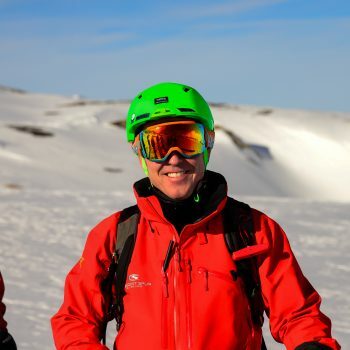 All of our staff members are avid outdoors-people who love mountain sports, and our senior staff is entirely comprised of experienced skiers. Operations is comprised of administrators working to ensure a positive, memorable experience. 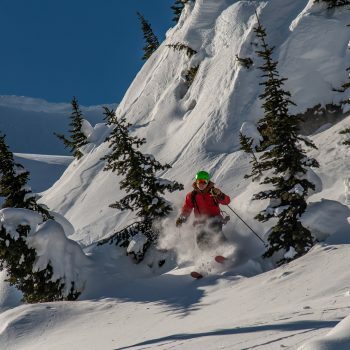 Guides are expert skiers with backcountry knowledge and safety training. The Aviation group is made-up of pilots and engineers with expertise in mountain flying/maintenance. 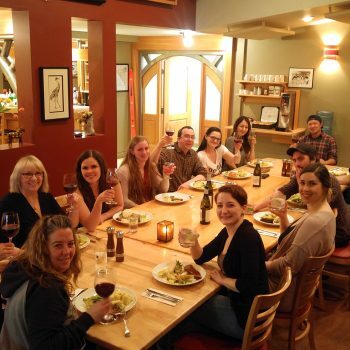 Our support staff include chefs, prep-cooks, a bartender, cleaning staff, and a massage therapist. 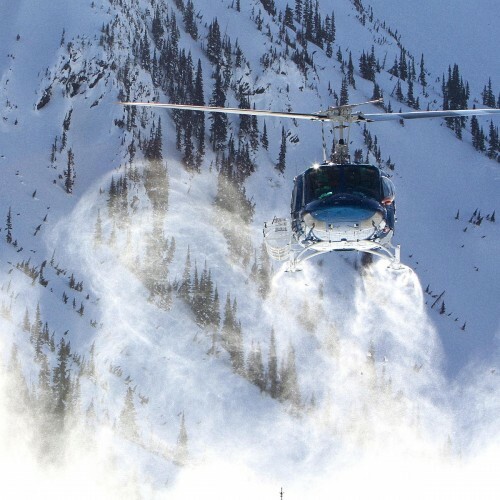 All of us work together to help shape a great heli-skiing holiday for you! Looking for work? Check our job postings. 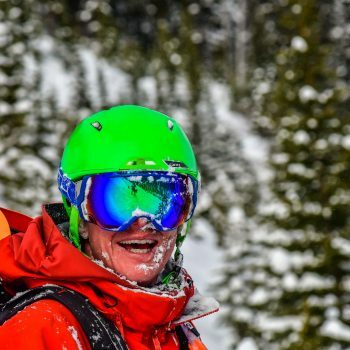 Mark was raised in Crescent Spur, but didn’t realize the potential for heli-skiing near his home until he worked as a ski guide in Southern BC. Today, he is proud of the work he has put in to transform his childhood home in Crescent Spur, into a place to share his passion with others. Mark has extensive knowledge of these mountains, which he continues to explore, in order to develop new terrain. 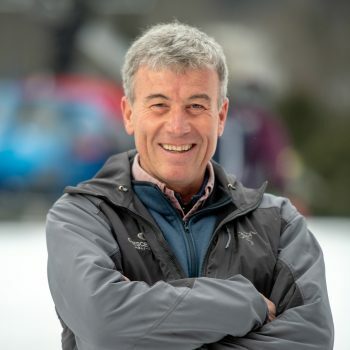 He also plays an active role in the industry, having served for many years as a HeliCat Canada board member and on a heli-ski standards committee. 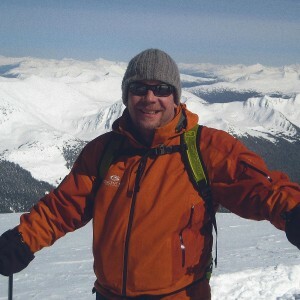 Mark is a professional member of the Canadian Avalanche Association. Jessica was born and raised in Calgary, AB. 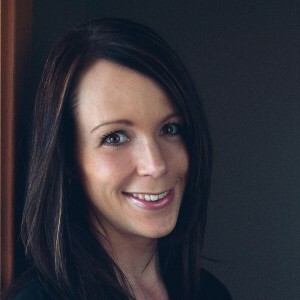 After receiving her BA in Tourism from the University of Calgary she began working in guest services at Crescent Spur in 2002. 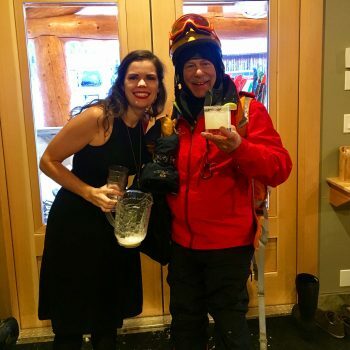 Jessica acted as Lodge Manager for 6 years and has been involved in shaping the culture of Crescent Spur from the time she started. Today, she runs our office, based in Calgary, where she helps guests plan trips and get a sense for the experience they can expect. She is mom to daughter Cali (2009) and son Fletcher (2011), and is an avid skier. A native of Brandon, Manitoba, Christine now makes her home on beautiful Vancouver Island. 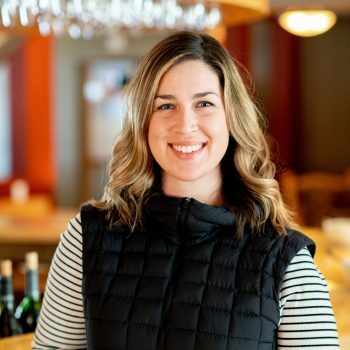 She brings a wealth of experience to Crescent Spur with over 10 years of experience in customer service and most recently in tourism, as seasonal lodge manager for three years at a prestigious fishing resort off BC’s west coast. 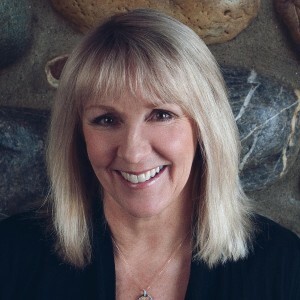 Christine joined the Crescent Spur team in 2015. She is acutely attuned to what makes a week special for guests, and fun to be around! In her spare time, Christine’s hobbies include snowboarding, fishing, quilting, and camping. Nadia was born and raised in the Lower Mainland of BC and spent most weekends and summers while growing up hiking, camping and exploring the Coast Mountains and Vancouver Island. 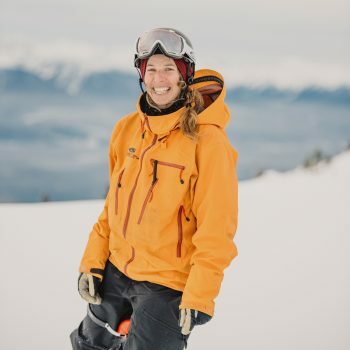 Her love of the outdoors and interest in the adventure tourism industry led herto enroll in the Outdoor Recreation Management program at Capilano University. 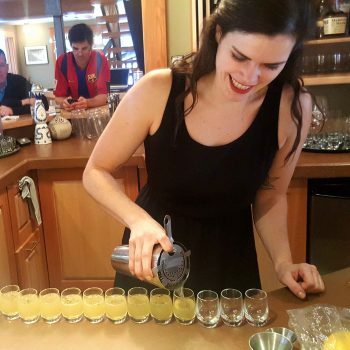 After finishing at Capilano she relocated to Victoria and spent 2 years working as Guest Services Coordinator for a remote fishing resort on Vancouver Island’s west coast and traveling in South and Central America. We welcome Nadia for her first season at the Spur for 2018. Keith has always loved spending time in the mountains. 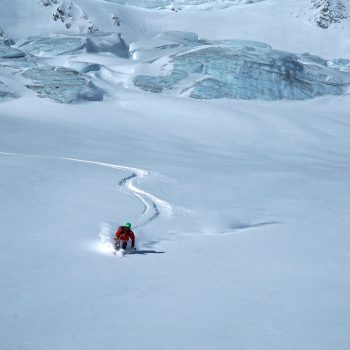 Prior to joining Crescent Spur in 2005, he had extensive experience in mechanized and ski-tour guiding. 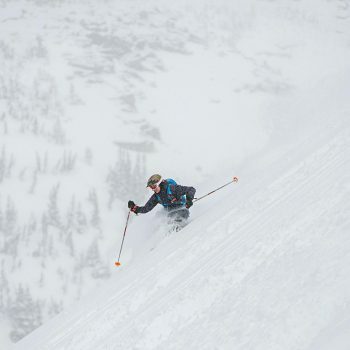 Keith is an ACMG Ski Guide, and a professional member of the Canadian Avalanche Association. When he’s not helping guests make the most of the mountain terrain, he works as a journeyman carpenter. Keith also enjoys flying airplanes—and dodging wild owls. 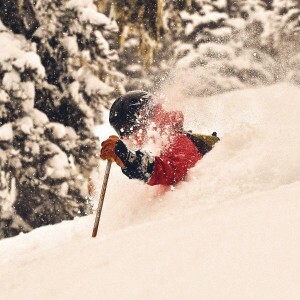 Raised on a farm in the Rocky Mountain Trench, Jesse’s proximity to the mountains at a young age attracted him to pursue a career as a Mountain Guide. 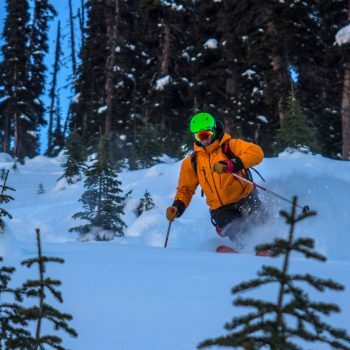 Jesse started with Crescent Spur in 2012 and worked his way up to Lead Guide with the completion of the ACMG Ski Guide Program in 2016. 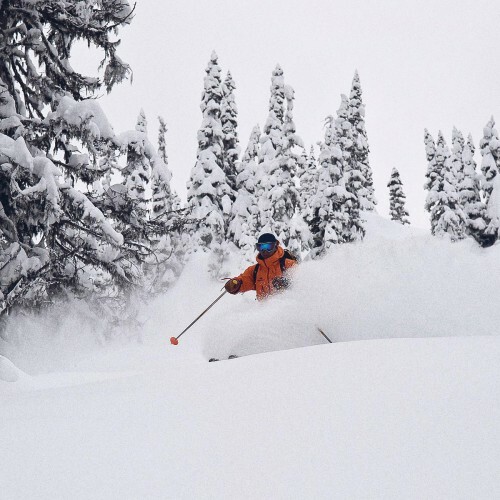 He was honoured to be the recipient of the Claire Dixon and Cornelius Brenninkmeyer Award, an annual award presented to the top candidate in the Ski Guide program. He spent his recent summers as a Backcountry Ranger at Mount Robson Provincial Park, but spent the summer of 2017 becoming a Rock Climbing Guide. 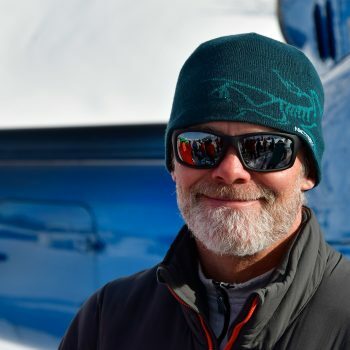 He spends 250 days a year in the alpine- heliskiing, rock climbing guiding, assisting with glacier research and doing personal trips. 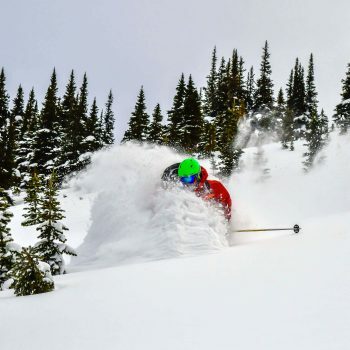 Jesse has skied and climbed numerous mountain ranges in Alaska, Patagonia, the St. Elias, the Columbias and the Rockies, with highlights including Mount Robson, Mount Logan, Cerro Tronador, Mount Alberta and a 17 day ski traverse in the Cariboos. 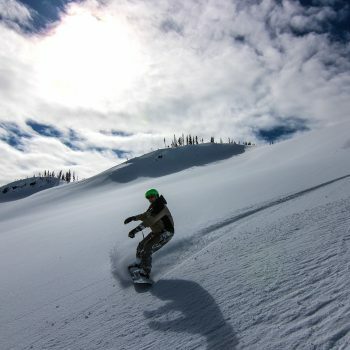 But what Jesse loves the most about the mountains, is sharing his contagious passion with others! Steve dedicated most of his career with Parks Canada as a Mountain Safety Specialist in Jasper National Park, winning awards for rescue work. 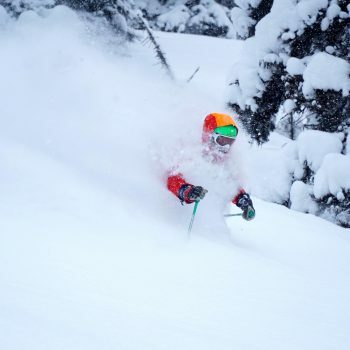 He is a fully certified Mountain Guide and is a past President of the Canadian Avalanche Association. He received his B.SC. in Geography and Environmental Science from Trent University in Ontario. Steve lives a rich life in Jasper with his wife Ange and has 3 adult kids. He spends a few weeks a season ‘celebrity guiding’ for the Spur, and in the evenings can be found entertaining the guests with his fantastic guitar playing and rich baritone! Christine grew up in Canmore, Alberta, where her dad had her skiing at age two (and quickly tackling moguls bigger than herself). She completed a diploma in Photojournalism, and soon went back to chasing snow. Christine joined the guiding team at Crescent Spur during the 2014 season, where she helps with guest safety and experience. 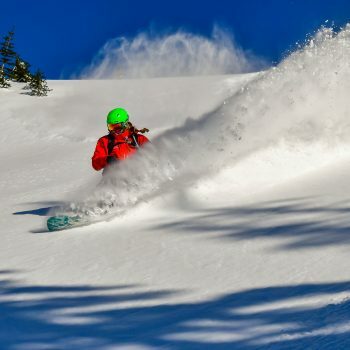 She also puts her photojournalism expertise to use, documenting the skiing and snowboarding that occurs during her tour weeks. 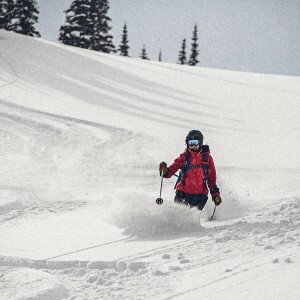 Christine recently earned the Adventure Guide Diploma through Thompson Rivers University,and in the spring of 2017 attained her Apprentice Ski Guide Certification. 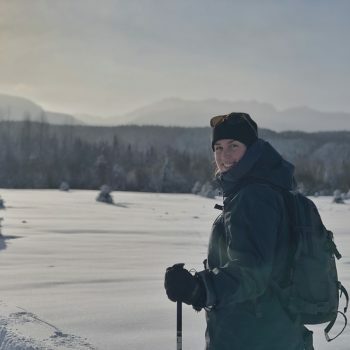 In the summer, she works as a hiking guide for Wells Gray Adventures, and returns home, to Squamish BC. Ange is a Registered Nurse specialized in Diabetes, Chronic Disease Management and Emergency Medicine. 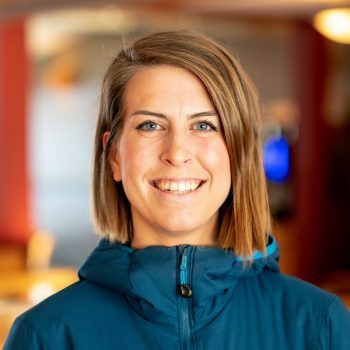 She became a true mountain girl when she migrated west after completing her degree in Kinesiology at the University of Western Ontario. 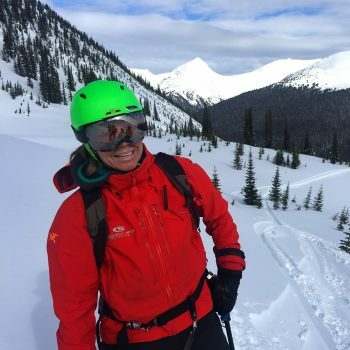 She honed her skiing skills and received her first avalanche safety training while working on the pro patrols at the Lake Louise Ski Resort and at Marmot Basin in Jasper. 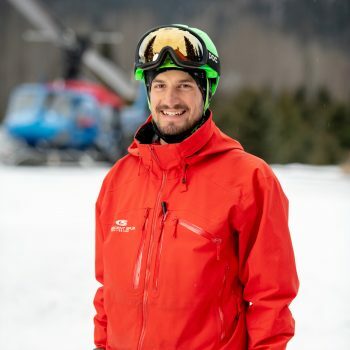 Ange has many years of experience guiding mechanized skiing, and working on the medical teams of big sporting events like the Vancouver 2010 Winter Olympics. She loves skiing, biking, running, yoga plus the backcountry; quiet and wilderness is important to her. Her 2 grown children and husband weave her heart. Born and raised on a farm near Salmon Arm BC, Ari grew up spending a lot of time in the mountains with his family. 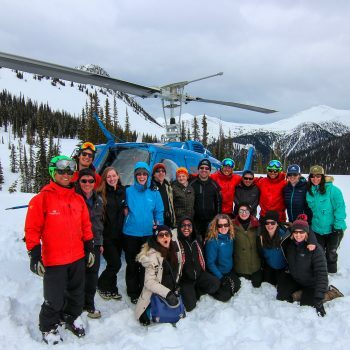 This led him to enroll in the Adventure Guide Diploma at Thompson Rivers University, where he then furthered his training in winter mountain travel. Ari joined the Crescent Spur guiding team in the 2015 season where he helps facilitate group care and entertainment, and also enjoys filming and taking photos. 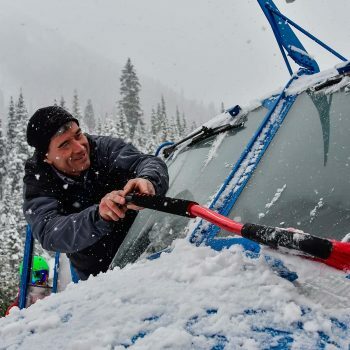 When he is not at work, he lives in Revelstoke, ski touring and volunteer patrolling. His summers are spent rafting and kayak instructing around BC. Trent became a fixed wing commercial pilot in 1989, before switching to helicopters in 1992. Over that time, he’s logged more than 15,000 helicopter hours. 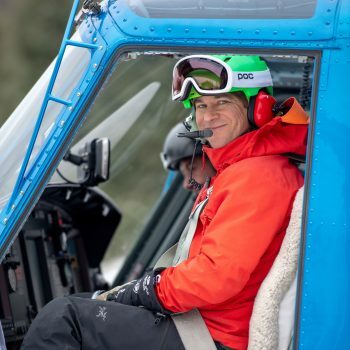 Trent’s experience ranges from flying for heliskiing, mining exploration, fire fighting, and power-line work. 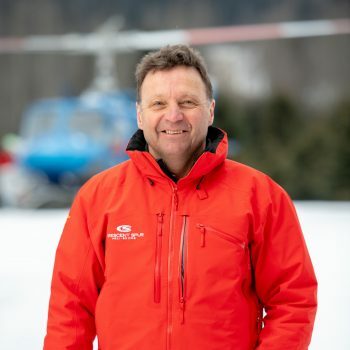 He has extensive knowledge of winter and mountain helicopter operations, having flown at Crescent Spur Heliskiing for over 16 years. (For the last 9 years, he’s done so as owner of Ascent Helicopters and Ascent Aerospace.) Trent runs his business and lives on Vancouver Island with his family. Born and raised in Switzerland, Andre trained to become a full UIAGM Mountain Guide (he also completed a degree in Agriculture). Andre holds 7,000+ hours of helicopter time and expertise in a variety of flying situations. 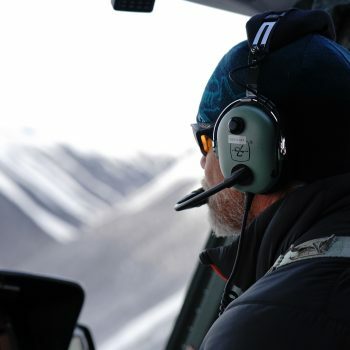 He’s completed many years of high altitude rescue work, and particularly enjoys flying in the mountains. 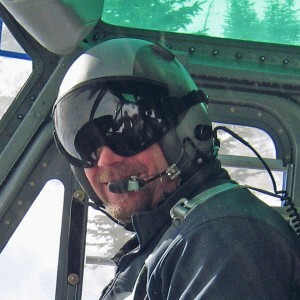 Andre has been flying at Crescent Spur since 1993, and lives in beautiful Valemount, BC. 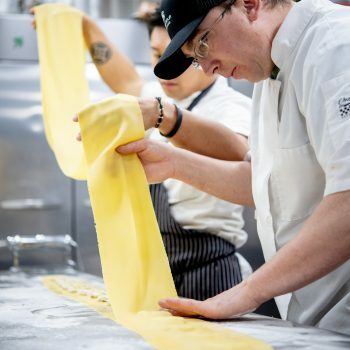 A Red Seal Chef who honed his skills at fine restaurants in Vancouver (and abroad), Greg has worked in the hospitality industry for over 15 years. 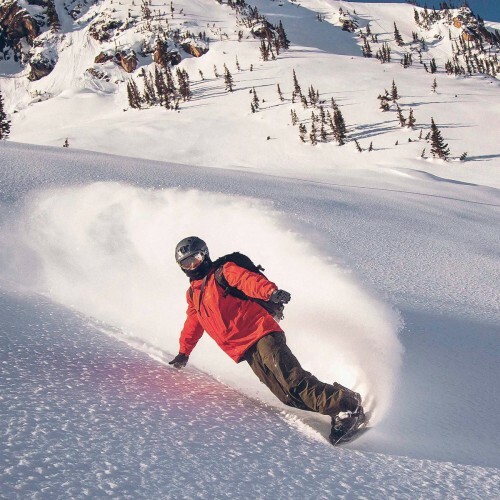 Since joining Crescent Spur in 2010 he’s come to enjoy the animated response hungry skiers have to good food—which he refers to as, “seeing forks fly.” Greg is committed to creating innovative, nourishing, locally-sourced food. This dedication is also seen in Gregor’s Gourmet, his full-service catering company, situated in the Okanagan region. In his spare time, Greg experiments with new food ideas, making preserves, hot sauces, and sausages—now available through retailers and online! Born in Bella Coola, and raised on Vancouver Island, Anna moved to England at 18. She spent several years there, before returning to her West Coast roots. She studied Fine Arts at Emily Carr University and has worked in hospitality for over a decade. She loves talking about food, wine, and travels. 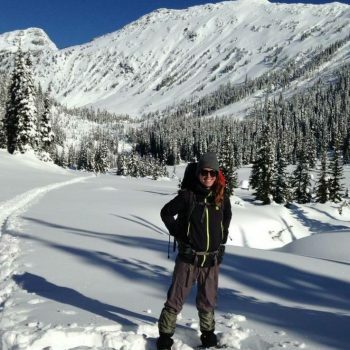 In her spare time, Anna can be found hiking the mountains around her home city Vancouver or travelling the world! She is passionate about creating. In addition to her painting, Anna is working towards starting her own bakery. Anna joined the Crescent Spur family in 2015. Born and raised in Winnipeg, Manitoba Bridget moved to Galiano Island off the coast of Vancouver Island this past spring. 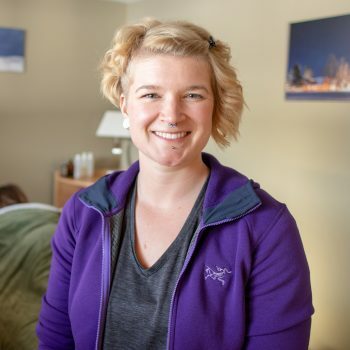 Bridget is an RMT, registered in Manitoba and has worked in Winnipeg and on Galiano at various spas and clinics until she joined Crescent Spur for her first season in 2019. Here Bridget loves working up a sweat with the guests at morning stretch class and helping massage out any kinks at the end of a long day of skiing. When she’s not working you can find Bridget in the gym, watching Jeopardy or cooking up delicious vegetarian fare. In addition to the many other professionals at Crescent Spur, 10 dedicated and enthusiastic individuals are hard at work as our lodge crew. These folks include our house staff, chefs, and additional support staff—all of whom work as a team to ensure guests have the best holiday possible. Some lodge staff have worked for us for as many as 10 years. Many of them enjoy the outdoors and mountains, and can be seen snowshoeing and cross country skiing around the property. They too look forward to staff days in the mountains.